Let’s be honest, there aren’t many managers out there that look forward to creating the employee schedule. Between juggling availability, prioritizing time-off requests, and ensuring staff levels are optimal, you can forgive restaurateurs for procrastinating. But hold up! Scheduling doesn’t have to be a pain. Putting in initial effort creates a balanced workflow, eliminating scheduling pain-points which add to manager stress. The best way to create a culture of efficient scheduling is to lay the groundwork with new hires. Spend time immediately after hiring to go over the in’s and out’s of your scheduling practices, including: when the schedule is published, how to submit time off requests, and what the deadlines are. Great idea: Perform some role-playing with new hires to go over typical scheduling dilemmas and see how they respond to them. If there are any red flags, you can work with them to address the issue so they understand expectations. A common headache for managers is dealing with employee requests coming from all angles – text messages, emails, sticky notes… you name it! When it’s time to create the schedule, making sense of these requests isn’t easy. Put a stop to this by automating your employees’ requests. Create a template or rubric that employees must follow in order to make requests, including and make sure it contains the information you need to act on it. This might seem bureaucratic, but it will keep you accountable to your employees and ensure they provide you with the information you require. Great idea: Utilize employee scheduling software which allows you to manage requests on-the-go and in real time! Failing that, create a Google Form or other electronic document employees can use to submit their requests. If your employees expect the new schedule on Monday afternoon then hold to this. This will institute a culture of consistency from the top-down which will trickle-down to employees. For example, if all requests must be submitted one week before the schedule is published, your employees will begin to understand that if they submit consistent requests, you can be consistent with the schedule. Great idea: Create a calendar event you can send out to your staff reminding them of the weekly deadline. This can be done through iCal (for iOS) calendar events right here, and Google (for Android) calendar events here. Don’t stick the newly-created schedule on the wall and call it a day. Instead, make it available to all employees on a digital platform they can easily access. This can be accomplished through a mass-text to employees (you have their phone number right?) including a link to the schedule, using a group chat tool like WhatsApp or a restaurant scheduling app with built in notifications. Before creating a schedule, take a minute to think about your employee’s skill levels. How many senior employees do you have? How many new hires? Paying attention to who is senior vs. who is junior ensures scheduling a mix of veterans and newbies to handle any situation in your restaurant. Great idea: To get a sense of the skill levels at your disposal, create a spreadsheet of all employees, grouped by role, and assign them a skill ranking of between 1 (new) and 5 (experienced). When you make your schedule, you can reference the spreadsheet to make sure you do not schedule too many seniors or juniors at one time. In order to create a successful schedule, it’s important to connect your business’ insights. Figure out which hours, days, weeks, and months are busiest by referencing your POS data. Check local event listings, local sports team schedules, and even the weather to see if there is anything in the forecast that will affect the next schedule. Great idea: Make use of a service such as IFTTT which allows customized alerts for different sources of information. Creating alerts for weekly digest of local information, weather, and sports can be used as data for scheduling decisions. Some employee scheduling software – like 7shifts – even has weather forecast data built in! When something comes up and employees need to swap shifts, create a system where employees can be proactive. With open communication in place, employees will find themselves working out most of their scheduling needs and finding coverage without requiring a manager to communicate on their behalf. Great idea: Something as simple as a group in WhatsApp, a Facebook group, or Slack channel can help your employees feel empowered to influence the schedule without management oversight. Be sure to administer anything you put in place. If employees are using it for gossip, bullying or saying disparaging things, you want to act on it. Your scheduling process will need tweaks and updates over time, but as a restaurateur or manager you are strapped for time. Making an effort to take notes of your day-to-day activities will ensure you will actually remember them when you have the time to address them. Great idea: Use the notes functionality in your smartphone to keep track of insights you pick-up throughout your day, or, grab a small notebook you can keep in your pocket. 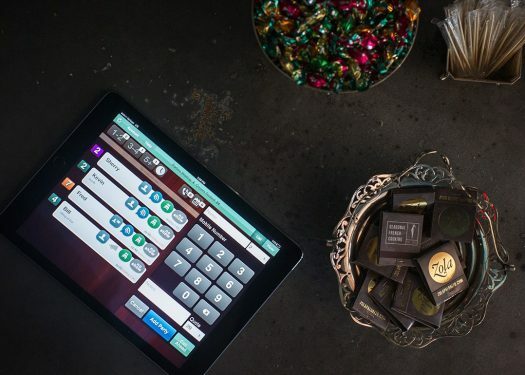 What about taking advantage of restaurant scheduling software that has manager logbook functionality built-in? Demonstrate the benefits of effective scheduling to your employees by rewarding behaviors you want to reinforce. With the data you collect from your schedule, be sure to recognize and reward employees that are aiding in your scheduling practices. This includes things like picking up shifts, being available when necessary, and providing on-time availability. Employees will see effective scheduling benefits them personally, which will continue the practice of great scheduling. Great idea: Once per month or quarter, gather your employees and reward them in a group setting for their positive scheduling practices (remember, cash rules!). Use the opportunity to set some group goals to work towards during the next period. There are even specialized employee incentive apps that can help you get this up and running. Two words: continuous improvement. Use the data from past schedules to form a picture of what went well and what can be improved. The same goes for the process of creating the schedule itself. Did you leave too little time to create it? Were there outstanding requests that didn’t make it? How can this be improved in the future? Great idea: Create time for a ‘retrospective’ for your scheduling practices. Divide a sheet of paper into 3 sections – what went well, what could have gone better, and what could be changed moving forward. Fill it out based on your current scheduling practices and use the learnings to better your schedule in the future.